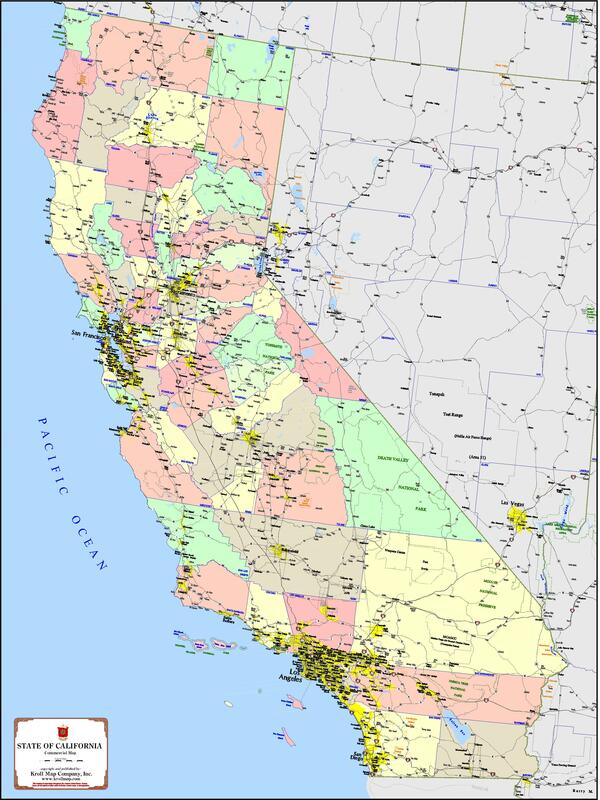 This map of California has interstates, highways, counties, and cities. Customize it with your logo, sales territories, store locations, census tracts and your own promotional information. Email info[@] krollmap.com for pricing and options.